Super Quality! Great Price! Top Service! 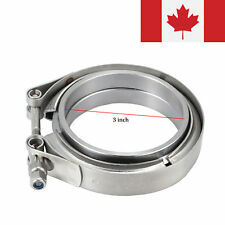 1 V-Band Clamp Flange Kit. Makes it easy to install and remove exhaust systems and turbo parts. V-Clamp with high quality stainless steel strip and V-Ring seal connection, good sealing performance. Free Expedited Shipping Today for 1-3 Day arrival! 2004 - 2018 Subaru Impreza WRX STI. 2002 - 2007 Subaru Impreza WRX. Race spec Universal Bar and Plate Intercooler. Race spec intercooler uses light weight barand plate design. Intercooler Size: 698.5 mm x 69.85 mmx 177.8 mm. NOTE : All of turbo parts and performance may require slight modification in order to fits perfectly. Cooling equals horsepower right?. And if you have a turbo thats obviously what you are looking for. So why not buy a great intercooler at a great price. With 100% aluminum construction our intercoolers are lightweight and look great. Not An Actual TiAL Wastegate, This Is Similar! High performance stainless steel wastegate. (Set your boost and forget it. Boost adjustable from under the hood with an accurate, proven Detent System. A) Do not fit your car. (2x) 3" Catless Downpipe. 2008-2010 E82 BMW 135i 3.0L Twin Turbo It does NOT fit xi/xDrive models. 2011-2013 E92 (Only) BMW 335i 3.0L Twin Turbo. 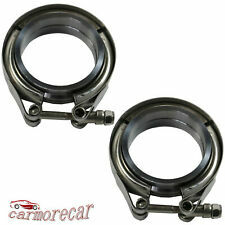 This Turbo Downpipe is Made of Stainless ( SS304 TOP QUALITY ) with a 3" V-band. T4 Port Shape: Undivided Single Open Port. T4 Bolt Spacing: 2.75" x 3.25" (70mm x 82mm). T3 Port Shape: Undivided Single Open Port. T3 Inlet Bolt Spacing: 1.75" x 3.39" (44mm x 86mm). Turbosmart Kompact BLACK Dual Port Blow Off Valve for Focus ST 2.0 Ecoboost *We keep these in stock for immediate shipment. Place your order before 9am EST and we'll ship the same weekday* A fixed 50/50 vented valve, the Turbosmart Shortie Kompact Dual Port valves have been specifically designed to suit BorgWarner EFR and KKK turbos. They also fit the popular Ford Ecoboost engines. 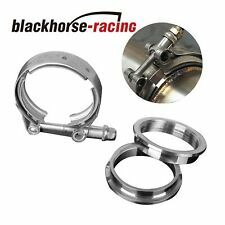 Unlike the standard, plastic valves that use un-reinforced diaphragms and are known to crack under increased boost, the new BW/KKK/Ecoboost Kompact valves use O-Ring sealed piston which, coupled with their billet aluminium construction give them over 30PSI boost handling capability. TITLE Performance Intercooler for 2007-2013 BMW E90 335i 335xi 135i N54 N55. Exceeding these horsepower limits could require a custom-sized front-mount intercooler. 1 x aluminum intercooler. Intercooler Core Size: 20.47" x 5.12" x 5.31". 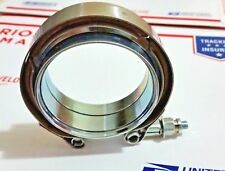 Inlet Thread Size: 1/8” BSPT Male. Outlet Thread Size: 1/8” BSPT Female. Center Tap Thread Size: 1/8” NPT Outlet Female. Works with most Honda, Subaru, Toyota, Hyundai, Mazda, Suzuki and Mitsubishi oil pressure senders. 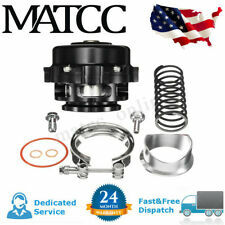 •Common Vehicles That Have The N63 MGT2256S Wastegate Rattle Problem are BMW X5, X6, 550I, 650i, 750i. 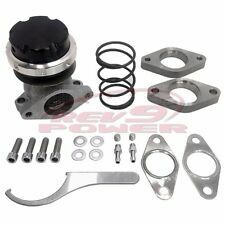 Here is our Wastegate Rattle Repair Kit for BMW with N63 Engine (4.4 liter v8 Twin Turbo). Pull the knob up to adjust boost setting, then press the knob back in when boost is dialed in to lockdown your boost setting. Set it without having to worry about the boost knob coming loose. (Not all parts are required for every application. ). 90-96 300zx twin turbo s-mount intercooler upgrade (2 side mount ). 90-96 300zx twin turbo s-mount intercooler upgrade. This is important for a builder who has a vehicle with a compact opening in the front of it or when there are immovable obstructions present. Intercooler Size / 27.00" (L) X 7.00" (H) X 2.50"(W). High Performance Tube and Fin Turbo Racing Design. Replace OE part number:06H145710 Application:For VW Audi Warranty：one year Returns accepted Package included:As Pictures show Color:As Pictures Show We usually ship within 1 business days after your payment. This is a After Market item Before ordering,Please check Manufacturer Part Number and eBay Compatibility.To be sure it is fit for your car!. The first revision of TiAL's original blow-off valve, the Q Series flows 60% more than its predecessor and bolts to any standard TiAL flange without welding. 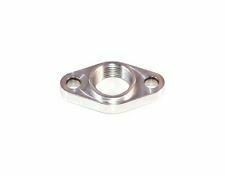 An aluminum weld base mounting flange cut for 2-1/2" pipe and aluminum V-band mounting clamp with stainless steel hardware create a durable corrosion-free appearance. 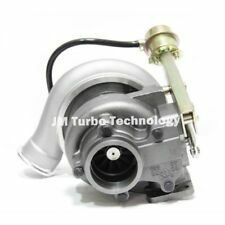 Fits T3,T3/T4,T04,GT40-GT55 BB turbos. 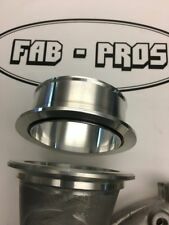 1x Oil drain Flange. 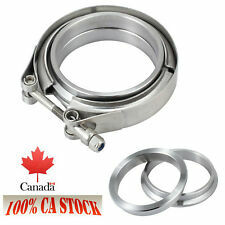 1x Oil drain gasket. AN Fitting. Turbo Accessories. Hope you can understand. Protects turbo units and engine. o2 sensor bung pre-installed. Beautiful TIG welds. 2.5" mandrel bent stainless piping. Boost Gauge. [2x] Cone Air Filters. [2x] Stainless DIY Downpipe Kits. Strong construction. High Performance Tube & Fin Racing Intercooler Unit. Intercooler Size: 28" x 7" x 2.75". Universal Custom DIY (Do It Yourself) Piping Kit. x1 Intercooler. PIPING KIT. Increases Up To 65% Air Flow Compared To Standard Bent Piping. High Performance Bar & Plate Racing Intercooler Unit. Intercooler Size: 27.5" x 7.5" x 2.5". Universal Custom DIY (Do It Yourself) Piping Kit. x1 Intercooler. PIPING KIT. Increases Up To 65% Air Flow Compared To Standard Bent Piping. Audi TT S 2.0 TFSI (8J) 2006 - 272HP BHZ. Audi A3 S3 2.0 TFSI (8P/PA) 2006 - 265HP BHZ. Volkswagen Golf V 2.0 TFSI 2008-2010 year 230HP BYD. Seat Leon 2.0 TFSI Cupra 2006 - 241HP BWJ/CDLD. Model: K04 0064 Turbo. High Performance Tube & Fin Racing Intercooler Unit. Intercooler Size: 28" x 7" x 2.75". Universal Custom DIY (Do It Yourself) Piping Kit. x1 Intercooler. x12 Silicone Couplers. PIPING KIT. Increases Up To 65% Air Flow Compared To Standard Bent Piping. Part Number: 12556124. Model :GM8. 1.1996-2000 GMC C2500. 2.1996-1999 GMC C2500 Suburban. 4.1996-1999 Chevrolet C2500. 3.1996-2000 GMC C3500. 4.1996-1999 GMC K2500. 5.1996-1999 GMC K2500 Suburban. Application : HIGH QUALITY BRASS CAGE REBUILD KIT FITS FOR Our mission is to provide you the good products and good service. LED Color: Blue. Fit for: all vehicles with a 12 volt switched power source. Color: black. 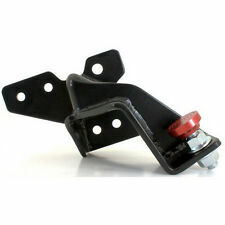 For BMW E88 Convertible N54 135i 2008 - 2010. 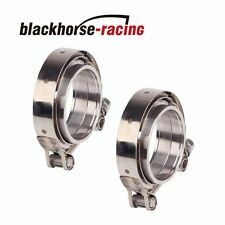 For BMW E82 COUPE N54 135i including 1M 2008 - 2010. For BMW E90 Sedan N54 335i 335xi 2007-2010. 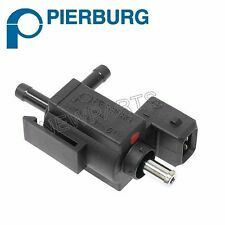 For BMW E92 Coupe N54 335i 335xi 2006-2010.